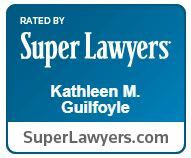 Guilfoyle, Kathleen M. – Campbell Conroy & O'Neil, P.C. Kathleen M. Guilfoyle focuses her practice on aviation defense, products liability and drug and medical device defense. 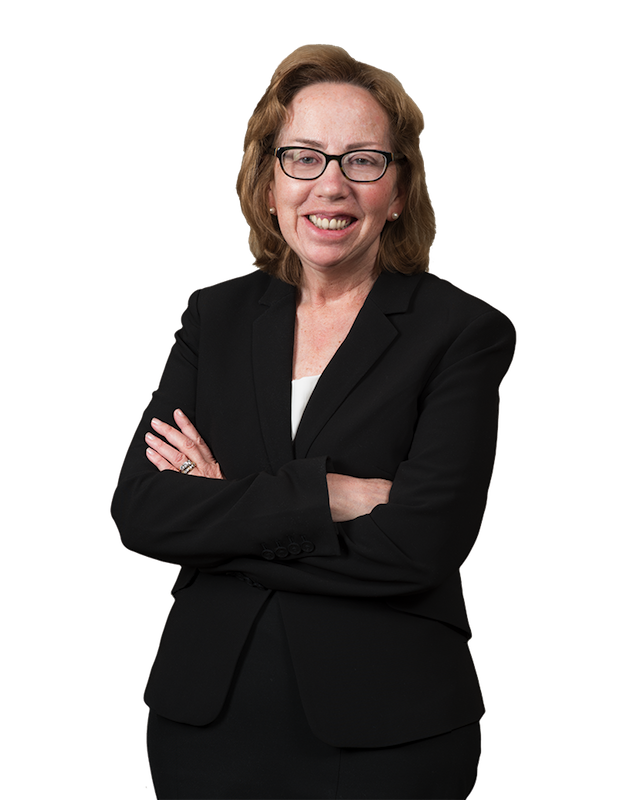 Kathy represents several airlines, airport authorities, manufacturers, ground handling companies and airport and airline contractors in cases pending throughout the state and federal courts of Massachusetts, Rhode Island, New Hampshire and Vermont. This litigation includes the defense of claims involving personal injury, premises liability, the Air Carrier Access Act, discrimination, kidnapping and general commercial litigation. Kathy successfully argued motions for summary judgment under the Montreal Convention and other treaties. Kathy and her firm represent one of the non-carrier airlines in the litigation pending in the United States District Court for the Southern District of New York arising out of the terrorist attacks of September 11th. In this litigation, she also worked on responding to requests for information from the Kean Commission, and participated in non-public witness interviews of various airline personnel by Kean Commission staffers. Kathy was a presenter at multiple ACI Aviation Conferences in Boston. In addition to those in the automotive and commercial trucking industries, Kathy has handled a variety of cases involving such diverse products as printing presses, heaters, toys, food and medication. She has also handled the defense of various environmental claims for fuel suppliers involving 21E claims, releases, propane tank explosions and faulty regulators. Kathy was selected as a Top Woman of Law for 2011 by Massachusetts Lawyers Weekly. Kathy has served on the Board of Directors of the International Aviation Womens Association since 2007. She was elected a National Director of DRI at the Annual Meeting in October 2012 and will serve a three-year term. Kathy is listed in Who’s Who Legal International Who’s Who of Aviation Lawyers. Kathy was elected Director of the National Foundation for Judicial Excellence in January 2014 and will serve a three year term. Laura Arbeitman, as Administratrix of the Estate of Margaret Alene Sanders v. AT Systems New England, Inc., et.al. Milward v. Acuity Specialty Products Group, Inc.
Combe v. Continental Airlines, Inc.
A penny for the courts, The Boston Globe , September 2014 With just a penny more of each tax dollar allocated to the judicial branch we can solve the underfunding and understaffing crisis in our state courts. The September 11th Litigation after the Closure of the VCF and the Issuance of the Kean Commission Report: What’s Left and What’s Next? Alleged Improper Handling of In-Flight Medical Emergencies: A Cognizable Claim Under the Warsaw Convention?